Love,Love, Love these notes. Another very proud moment for the team and Platinum. From start to finish, Jeanette and her team provided exceptional service. Our realtor highly recommended Platinum Estate Sale to handle our moving sale and we feel so fortunate that we had the opportunity to work with this team. They were professional from the very first phone contact and provided detailed information on the entire process. We started out as acquaintances but ended up becoming friends and trusted this team of devoted workers to the very end. In fact, we left for our out of state move and left Jeanette in charge of meeting the movers for items that needed to be picked up. If you are looking for a reliable estate sale team, look no further, Platinum Estate Sale is the one. When I decided to have an Estate Sale I took a recommendation from a friend. The recommendation was to use Jeanette, the owner of Platinum Estate Sales of Distinction. My friend is very particular so I didn't bother to even call another company, I knew I was in good hands. I am so happy that I used Jeanette. I cannot say enough about how the process went. We went out of town for a few weeks while Jeanette and her crew did their magic. I came back to a home that was beautifully staged and set up for a sale. I didn't really realize how much hard work goes into these sales. When you use Jeanette's services, all the work I saw happening justifies using an Estate sale company. I could have never done this myself. I have a big home and the time, thought and care that went into this was so greatly appreciated. Jeanette's crew is equally as polite and fun to work with. While I am happy to move on to the next adventure in our lives, we spent so much time with all of them my husband and I will miss them. We wanted to thank you for the fantastic job that you and your wonderful crew did on our estate sale! We will certainly recommend Platinum Estate Sales to anyone who needs to clean out their home. I recommend, without hesitation, Platinum Estate Sales of Distinction (Jeanette McBeth) for handling everything related to selling items from an estate as well as preparing the house for the sale of the house. Earlier this year a bachelor cousin of mine passed away and I offered to handle his estate. To say the least, his house was in disarray, with probably 50 years of antiques and his stained glass studio (he was a stained glass artist.) Jeanette and her crew took several days to prepare everything for the sale and I was amazed at everything she found hidden in boxes and attics, the way it was laid out for the sale and the research she conducted to price each item. Her database of potential shoppers was amazing. The three day sale was professional with people lined up hours before the opening. The net proceeds we received exceeded our expectations. Her crew also cleaned the house after the sale (3 roll-off boxes needed!) Her crew are both hard working, polite and thorough. I recommend that you have Platinum handle any estate sale. It is much better to have experienced professionals manage it! Michael was at our Batavia condo this morning and removed our big and heavy platform bed. He did a great job and we were so pleased to have his help. He is also a great guy with a fun personality. We are very thankful to you and your associates this Thanksgiving. Enjoy the holiday! I attended your estate sale in Inverness yesterday (Saturday). I also have to say that I was very impressed with how the sale was run and with the pricing of the items in the sale. I truly wish I would have known about your company when we cleared out out parents' house 8 years ago. Our home recently sold and we were faced with having to move after 24 years in a months time. This allowed very little time to find a place to live not to mention clear a 5000 sq. ft. home of all its belongings. We found Platinum Estate Sales of Distinction to be the perfect solution to this overwhelming task. I have to admit that when we met with Jeanette the owner and she told us they have a solid history of selling 95% of contents we were a bit skeptical. Well...... we were pleasantly surprised, because they did exactly that. In addition we had to do nothing. Jeanette and her staff came in and handled everything from set up, sale, and delivery of the items purchased seeing they went out the door with no damage to our home. Jeanette had the home very well staffed during the sale to protect the home and it contents. We had several neighbors drop by the sale that have plans of downsizing to see what kind of company draws this many people to a estate sale. We would recommend this company to anyone downsizing or needing to clear a home. You are a true delight. Not only did you sell 95% of the contents of my home in Geneva, you also left it spotlessly clean. Along with all of that, the contact you gave to me lead to the sale of my home and closing inside of one week. Highly recommended, have any interested person contact me. 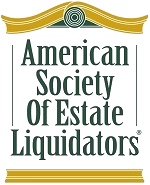 Just a short note to let others looking for exceptional estate sale services to give you a call! You are the absolute best! My brother and I thank you for all of the kindness, compassion and care with handling our parents items. It means the world to our family anyone can conduct a sale these days; it takes a special person to do it such care & compassion. Feel free to use our family for a referral anytime. WOW! my wife and I were most impressed with your services. We were in such a difficult situation as are many other families, yet, you took care of it all for us. We have since re-located and are much more comfortable and looking forward to our new lives. My family and I wish to send you a huge THANK-YOU for all you have done for our family. Please use me for a high recommendation anytime. 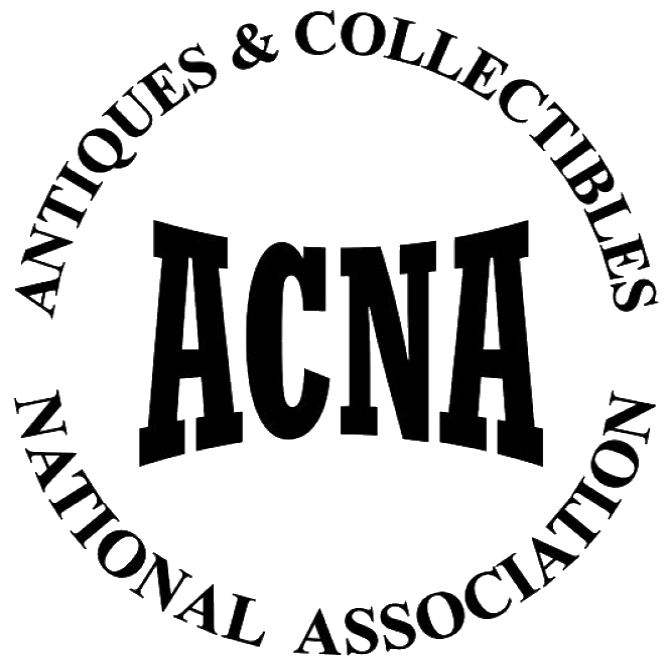 Thank you so much, we thought we found all of our Aunt's treasures hidden away yet who would have thought to look there for more cash! Your honesty and professionalism made a huge difference in our sale. You and your team treated her items with such respect & dignity, this meant so much to our family. You are so caring and give such a personal touch to the sales you conduct, we searched other companies before hiring you and are most pleased, we would recommend you to all. Please feel free to use us for a reference. Wow, is the 1st word that comes to mind. My bother and I could not believe the entire contents sold, it's amazing! Your compassion and advice were most valuable. Doing this from another State was proving difficult - until we met you, you gave us the confidence to go ahead with the sale after over a year of deliberation, thank you again. My family and I wish to thank you for the wonderful job you and your team performed at our estate. You went above and beyond the "normal" estate sale. Staging and selling in March for the realtor, (the home was terribly cluttered), assisting our family in finding movers and packing for the movers, assisting the family in furniture placement in the new home, and finally... conducting the final sale of our belongings! Everything was beyond our imaginations, the sales were so conducted so professionally and we found little to no interruption in our daily lives as this went on. It must have been difficult to work around our schedules yet, you managed to make us all happy. Thank you and my best to you and your family, please feel free to use us as a reference at any time. I feel as if a weight has been lifted from my shoulders. Such a difficult time for me, foreclosure, divorce and moving, what a time it was. I wanted to send a note for you to post on your site so everyone knows what a wonderful person you are and how much time & effort you put into your sales! Highly recommended. Thank you from the bottom of our hearts, the home looks wonderful. It seems like yesterday our family could not imagine clearing out the contents of our parents home and then we met you. Not only did you produce a most profitable sale you and your team did a fantastic job clearing out the home and leaving it ready for the Realtor. The home sold quickly and now we can get on with our lives. Such a struggle losing parents yet, you made it an easy transition. We cannot thank you enough for all you did. What a pleasure you are to deal with and your team... absolute sweethearts. Conducting this sale was difficult, a hoarders home at best! We cannot thank you enough for taking such great care of the home and it's contents, the profits will allow our family to keep our father in a quality home for many more years.